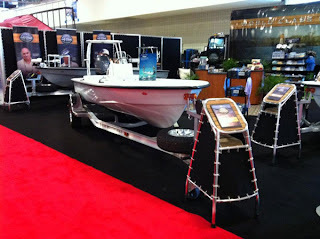 I saw that Hells Bay is going to have some super stars at their booth at the Miami Boat Show. I sure wish I was going to be there. I wish even more I was there buying a new Hells Bay Boat. At any rate, here's the lineup and a cool pic of one of their boats. If you stop by, be sure to tell them that The Bonefish Flat sent you. What a treat to talk flats fishing with any of these guys. They are all legends. If you missed my interview with Hells Bay CEO Chris Peterson, check it out here. Check out this beauty. Father's day is right around the corner.